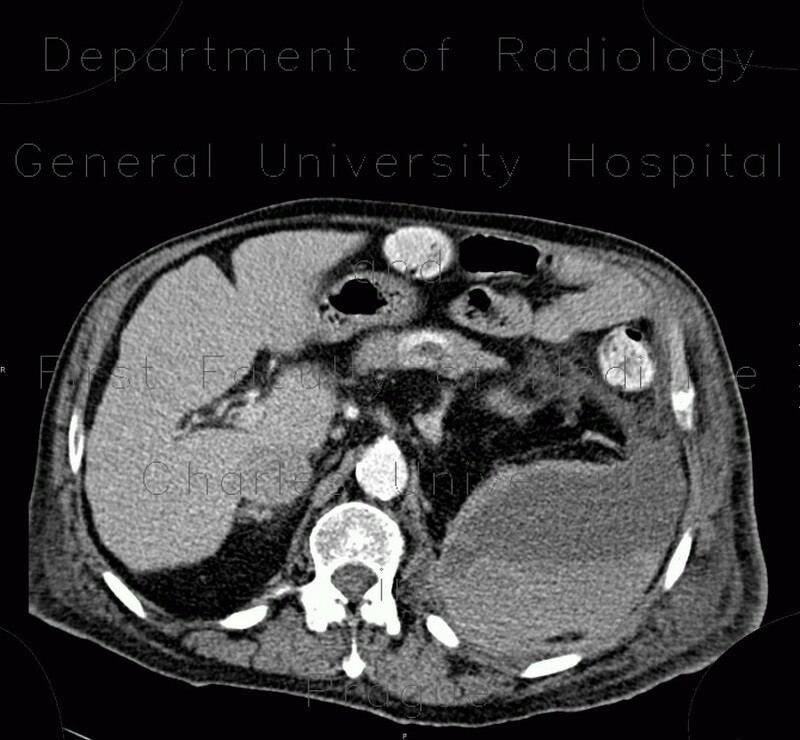 CT shows a large expansive mass involving left half of retroperitoneal space including psoas muscle. It is heterogeneous due to sedimentation of blood due to anticoagulant use. The thin hyperdense middle layer represents active bleeding of blood enhanced with intravenous contrast.